Dr. Matar is one of the most well-respected influencer advising public and private sector organizations, on sustainable healthcare, community empowerment, and youth development. Dr. Matar is a strong advocate of empowering the community in healthcare and has a very strong background and expertise in sustainable development, strategic planning and leadership, public policy and advocacy. She is the first woman Director General of Community Development Authority (CDA), which undertakes to formulate social policies and deliver social services that are in line with and contribute to the achievement of the social development objectives of Dubai Strategic Plan 2007 – 2015, launched by H.H. Sheikh Mohammed Bin Rashid Al Maktoum on February 3rd, 2007. In 2005, Dr. Matar was the leader of the executive team that set up social development strategies for the Dubai Strategic Plan. A highly accomplished visionary executive and strategist with 15+ years of achievement and proven success with owning and operating multi-million dollar corporations. As CEO and Director of Operations in various companies, Mr. Agad has helped in the growth of sales while providing leadership in the corporate and retail industries, at both a domestic and International level. Mr. Agad is known to thrive at being tenacious in building new businesses, strategic positioning, development, and strategic planning with both startup and growth organizations while forming strong relationships with key individuals. Mr. Agad is a results-oriented, decisive leader with proven success in the new market identification, as well as strategic thinking, and problem-solving. Mr. Agad thrives in dynamic and fluid environments while remaining pragmatic and focused, and has achieved a number of accomplishments in planning and leading comprehensive marketing strategies in support of business and economic goals, ideas, and objectives. 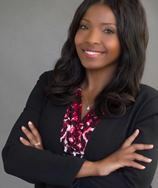 Brianne Joseph is an award-winning Private Investigator, Best-selling author, keynote speaker, and breast cancer survivor. She is the Owner at Sly Fox Investigations - an all female, six-figure Private Investigation agency, owner of Punk Azz Cancer- a breast cancer empowerment brand, and is author to inspirational book ‘Punk Azz Cancer, How Dare You!’ A recognized leader, Brianne was previously the Region II Director of the Louisiana Private Investigators Association, was named the 2011 'Investigator Of The Year ' by the National Association of Investigative Specialists, and was awarded 2017 ‘Best Private Investigator in New Orleans’ by Expertise. Brianne is also the State Leader for the Young Survival Coalition- an organization that provides resources to breast cancer survivors under 40. Editor-in-chief for Journal of Cancer, Oncomedicine, New Approaches combating Cancer & Aging. Dr. Yan-Gao Man holds a Medical degree in Western Medicine, Master degree in Microbiology, and PhD in Cell Biology/Anatomy. He completed postdoctoral training in Cancer Biology at National Cancer Institute, NIH, USA. Dr. Man served as the Director of Gynecological and Breast Research Laboratory of Armed Forces Institute of Pathology and American Registry of Pathology for 16 years. 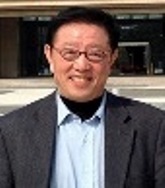 Currently, he serves as Adjunct Distinguished Scientist at Hackensack University Medical Center, NJ, USA, the Vice President for Research & Collaboration at South Hospital of Nanjing, China, visiting professor of China Key Laboratory of Sub-health Intervention, the Editor-in-chief for several international medical journals, and the Chairman of Board Directors and Secretary General of International Union for Difficult-to-treat Diseases (www.iudd.org; www.canceraging.org; www.canceraging.org/2016/). Dr. Man has authored and co-authored over 250 published articles and abstracts in the cancer field, 46 non-scientific articles, 4 book chapters, and 14 novel protocols for molecular and immunohistochemical assays. Dr. Man’s medical practice and research are primarily focused on the mechanism of cancer invasion and metastasis. He is the originator of most updated hypotheses for cancer invasion and metastasis; his hypothesis of cancer invasion has been recognized as “more compatible with existing experimental evidence than the traditional “protoelytic enzyme” theory” [Pandey PR et al. Front Biosci. 15: 226–236, 2011], and his hypothesis of cancer metastasis is the only one that can reasonably explain all major steps of cancer metastasis among all existing theories. Cancer Biology,Gynecological and Breast Research,Microbiology, Cell Biology/Anatomy. Dr. Marveh Rahmati is currently working as an Assistant professor of Cancer Biology Research Center, Tehran University of Medical Sciences, Tehran, Iran. She obtained her PhD in medical biotechnology from Tabriz University of Medical Sciences, Iran and spent her Sabbatical research in national university of Ireland, Galway. Dr. Marveh Rahmati research is mainly focused in mechanisms of cancer drug resistance through apoptosis or autophagy pathways, study of nanoparticles in targeted therapy, epidemiology and epigenetic study of cancers in Iran. In 2008, she received her master’s degree in the field of microbiology from Alzahra university of Tehran, Iran. 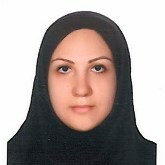 She has won “the young scientist awards” in 2009 from Iranian Society of Microbiology, “the best researcher awards” and “top students award” in 2008 from Alzahra university. Dr. Rahmati published 18 articles in national and international journals, one-chapter book and one Persian book. She worked as reviewer for some articles in different journals. Dr. Mahir Jallo, Clinical Professor of Medicine, Head of Department & Consultant, Internal Medicine - Diabetes & Endocrinology in Gulf Medical University – UAE & Faculty in the Canadian Academy of Natural Health – Toronto – Canada. Granted his MBChB from Mosul Medical College - IRAQ, his postgraduate Board Certification in Internal Medicine CABM from the Arab Board, his Fellowship of American College of Endocrinology FACE, & and Diploma in Dyslipidemia from Boston University School of Medicine from USA . 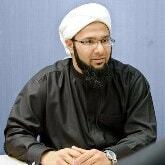 Invited speaker in many National & International conferences & CME programs. Organizer of the annual GMU Diabetes & Endocrinology Conference in UAE since 2012. Member of organizing committees for many international conferences in US & Europe. Editorial Board Member & reviewer for many international Diabetes & Endocrinology journals, with many publications in medical periodicals and medical conferences abstract & Active Principle Investigator in many National & International Clinical studies. Member of many national & international medical societies & associations, AACE, EASD, ISPAD, ESE & European Atherosclerosis Society. Awarded twice A Special Honor & Award in recognition of the exemplary achievements in the field of Internal Medicine & Endocrinology and for the invaluable service to the community.